Our Lady of Perpetual Help (OLPH) Academy was an extension of the richly diverse and multi-cultural community it served. It not only had a significant spiritual influence over the many children that entered its doors, but it was a place that nurtured and developed generations of citizens in the Christian values emanating from the teachings of Jesus Christ. The school, like other long-lived entities, would evolve over time. In the 1890’s, the Sisters of St. Joseph established a humble private school named St. Joseph’s Academy. It was located on the property of Our Lady of Mercy Church, the academy’s neighbor and patron. Renamed Our Lady of Mercy Catholic School, the institute became the parish school and was committed to the spiritual, intellectual, social, and emotional growth of children in the community. Throughout the years, the stewardship of the church parish changed hands from the Jesuit Order, to the Salesian Order, to the Redemptorist Order. While the dedication to the educational development of its students remained, the school was affected. After the arrival of the Redemptorist Fathers in the 1930’s, the wood frame building that was Our Lady of Mercy Church was replaced with a Spanish style brick structure. The church was renamed Our Lady of Perpetual Help Catholic Church, to reflect of the order’s devotion to Mary and the school became Our Lady of Perpetual Help Academy. The Sisters of Notre Dame, who were highly respected, replaced the Sisters of St. Joseph as administrators and teachers in 1944. They continued the great work by creating an environment where the area’s children, kindergarten through high school, would learn, pray and worship together (Rodriguez). The Sisters of Notre Dame continued to serve in this capacity until 1975 (Barfoot). 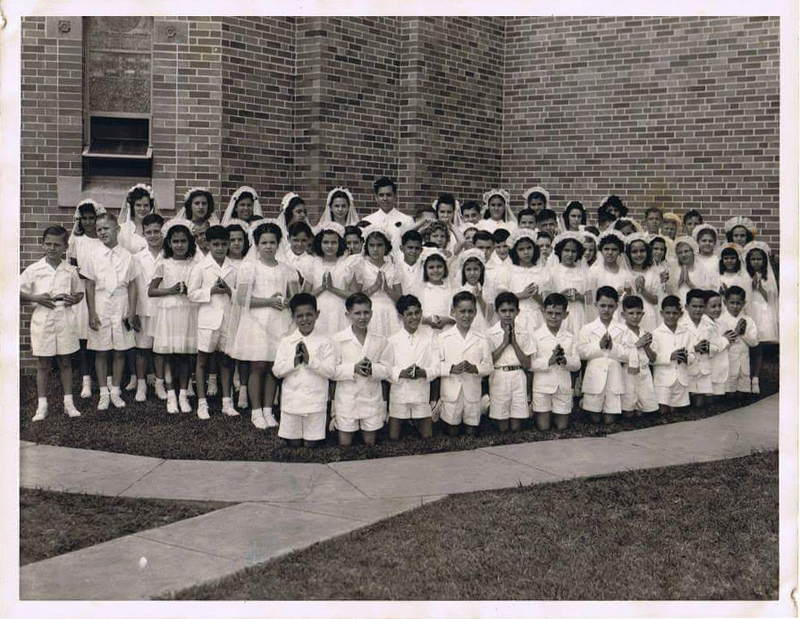 For generations, the children of OLPH Academy were often a reflection of the vibrant immigrant cultures the church and the academy served in Ybor City. The religious education was designed to meet the diverse needs of this unique melting pot community and to empower the students that graced the halls to become ethical, responsible and productive Catholic men and women. For example, school children who spoke Spanish at home became bi-lingual, learning English while attending the academy (OLPH Alumni). As the community grew so did the school. OLPH added high school grades and an athletic program, to include a girls’ and boys’ basketball team and a boys’ varsity football team known as OLPH Fighting Bears (Rodriguez). The influence of OLPH resonated well beyond the walls of the school and church. Well entrenched in the fiber of the neighborhood, the parish embraced students and local families as they reaffirmed their faith in Jesus Christ and celebrated the sacraments of Baptism, First Holy Communion, Confirmation and Marriage in the church. As the historic neighborhood deteriorated, families rooted in the community moved out of the area. OLPH Academy closed its doors in June of 1975. A steady decline in enrollment combined with increasing operational costs and no funding to repair the old school building in need of maintenance proved too much for the continued operation of the school. (Barfoot) The old school building was razed in mid-1990 after efforts of repurposing the building did not succeed. Our Lady of Perpetual Help Academy lives on in the lives of the children it touched, in their families, and in the OLPH parish community. Steeped in the tradition and history of their alma mater, some OLPH Academy alumni are parishioners of the Church which still stands today. Several times a year, in honor of the students, a weekend mass is joyfully celebrated and dedicated to a particular graduating class of OLPH Academy. The resounding effect of Our Lady of Perpetual Help Academy continues.